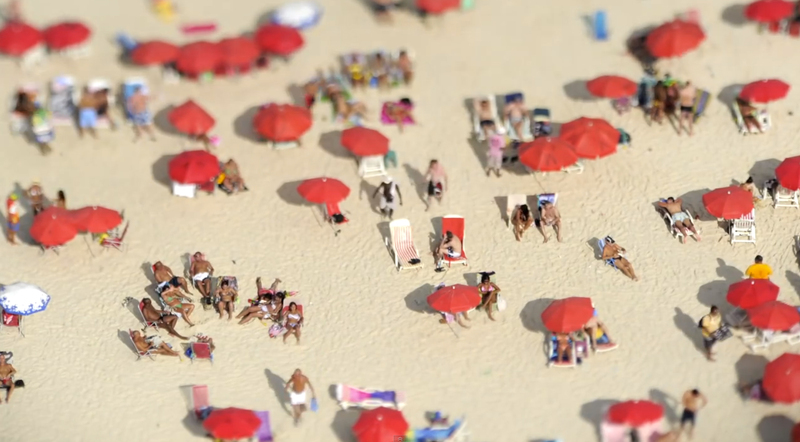 It’s just amazing what a photographic technique called “tilt-shift” can do. In some cameras, a set of lenses attach to your camera or in some cases in more modern cameras, it’s just a filter in the setup and with a click of a button you can reach tili-shift like photos. However, the thought behind and the quality of this video is just amazing. So get a caipirinha and enjoy.